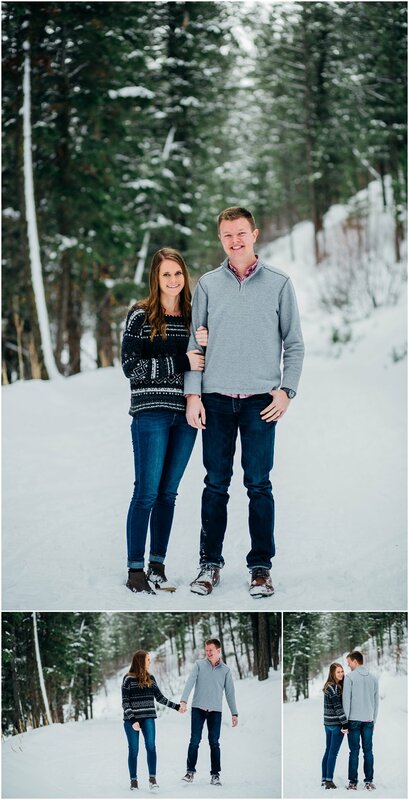 Elise contacted me for her and Mike's Engagement photos mentioning that they wanted to incorporate Idaho's natural landscapes. I knew right then Kelly Canyon would be a great spot to show off gorgeous views within Idaho! These two were troopers! 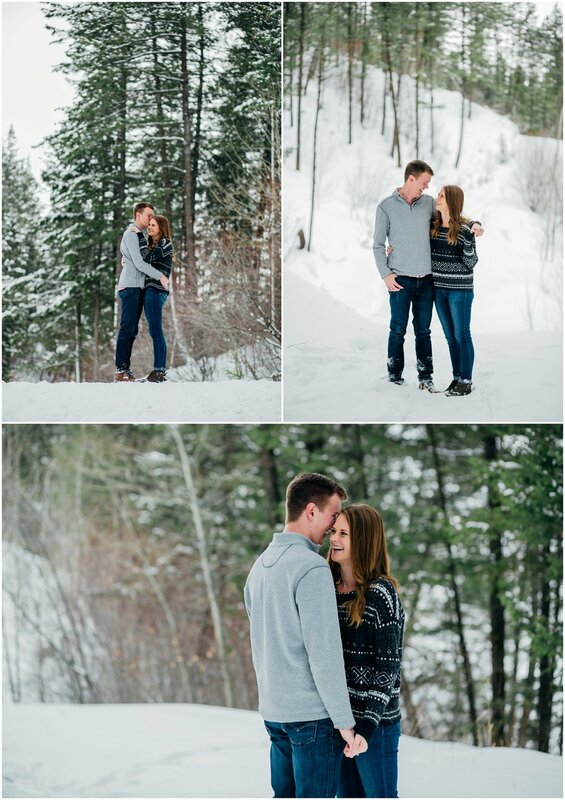 The first half of the session we didn't have any snow falling which gave us a chance to explore some of the prettiest spots I've seen in Kelly's! There were areas where the snow went up to our hips. Elise and I were somehow able not to fall through, but Mike happened to step on every spot that would sink! Less than five minutes in his pants were completely covered in snow, but he laughed it off and kept smiling as he looked at Elise. 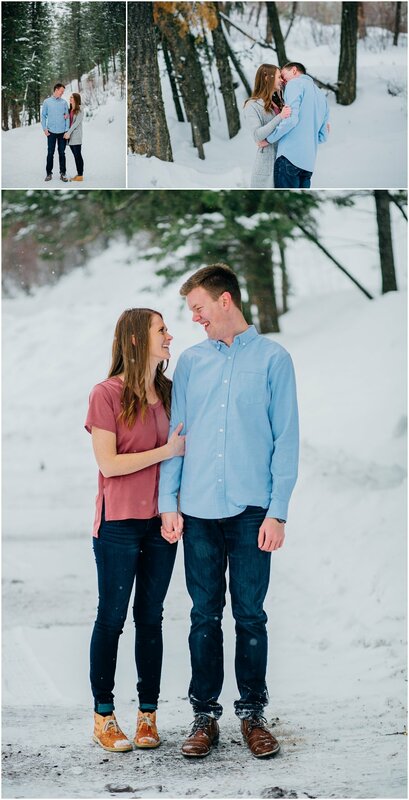 Shoutout again to Elise and Mike for making these gorgeous shots happen in below freezing temperatures and knee deep snow!